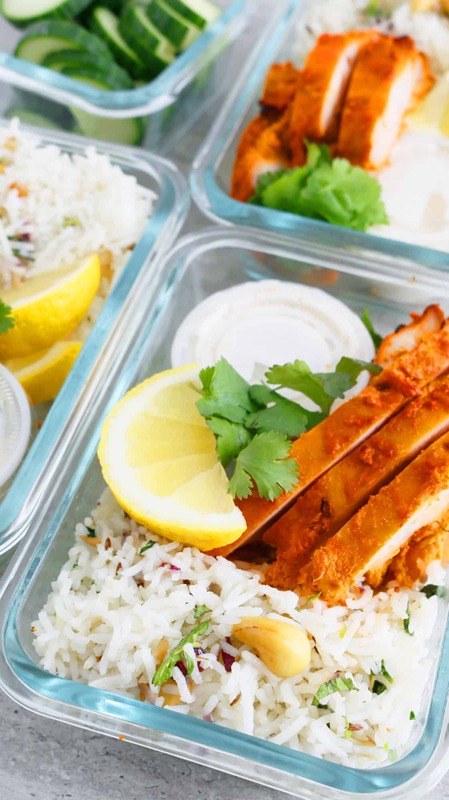 Simple, comforting, spicy, tangy tandoori chicken meal prep for your entire week/family. 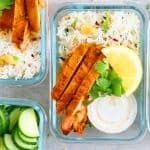 An easy oven roasted tandoori chicken is layered with a minty-lemon rice and the easiest raita. It should be totally a thing, right? I have started loving meal prep recipes. A life saver for busy moms! We eat a LOT of Tandoori chicken around here. 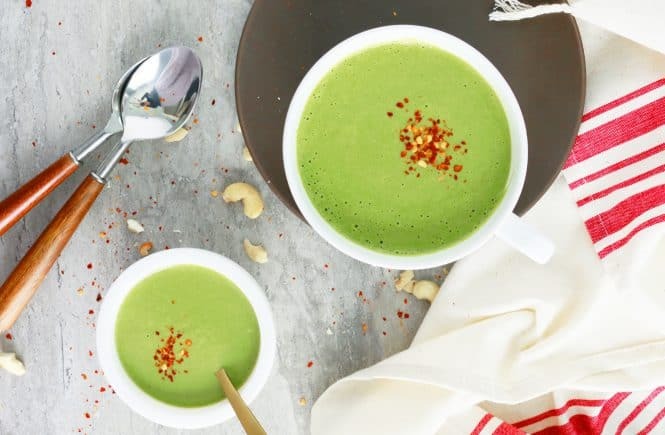 It’s so easy, healthy and freezes well. 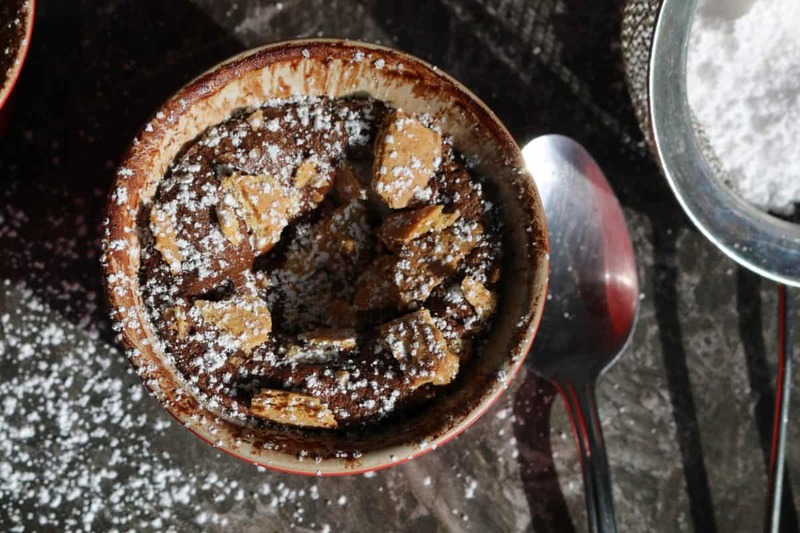 I usually make a double batch and use leftovers in other recipes like, tandoori chicken sandwiches, tandoori chicken tortilla pizza, Tandoori chicken Naanwich or Baked egg and tandoori chicken cups. 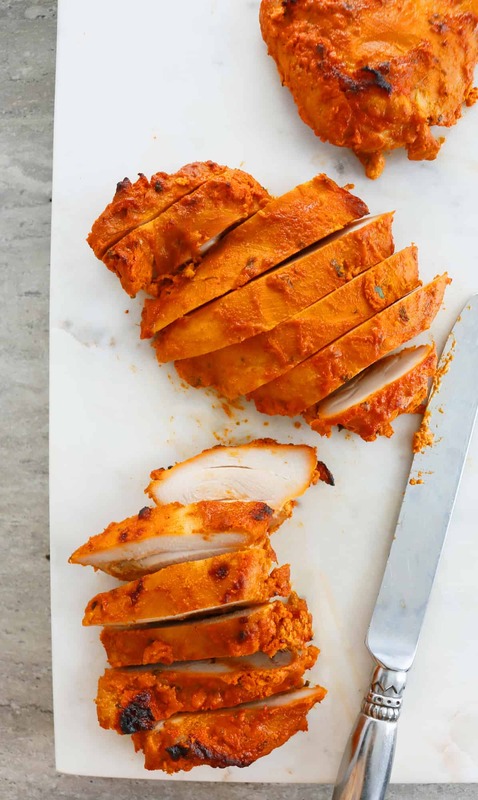 I’ve made this authentic tandoori chicken recipe a million times (ok, may be thousands), that I could make it probably in my sleep. 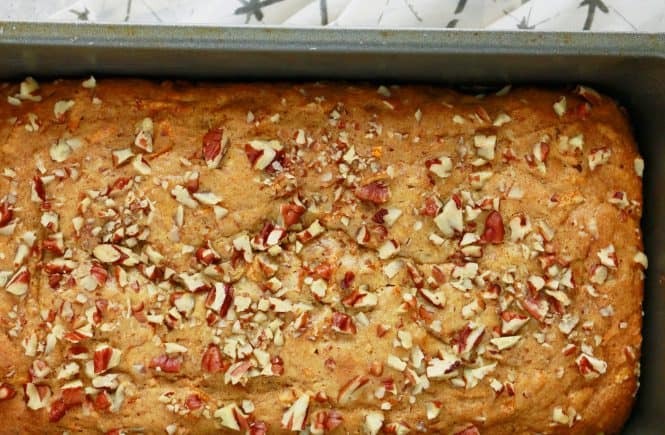 It’s easy, simple, healthy, fool proof and is great in both oven and outdoor grill. A real crowd pleaser!! So, it’s no brainer that I come up with yet another way to enjoy this Indian classic. 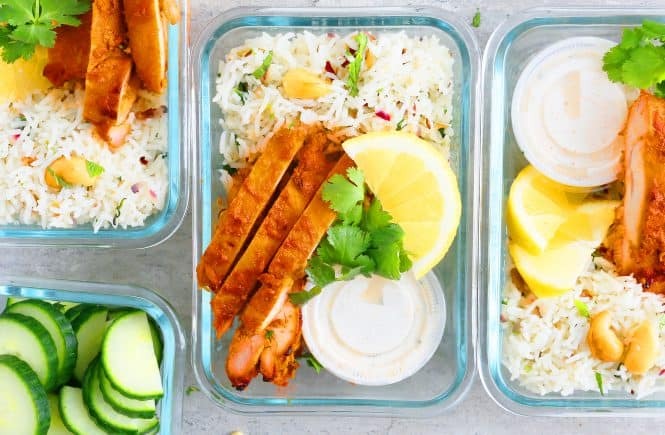 This chicken meal prep is just a portable meal made with all the components of this Tandoori chicken with cashew mint chutney. Heat 2 tablepsoons butter in a sautepan over medium heat. 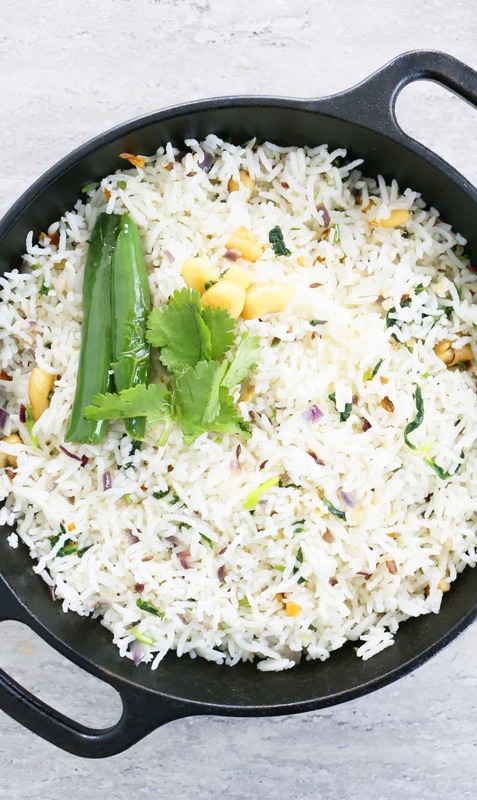 When butter is melted, add in cumin seeds, bay leaf and chopped cashews. Stir until cashews get golden and cumin is toasted. Stir in onions, jalapeños, garlic and ginger. Saute until onions get trasnslucent and then stir in mint and cilantro. Cook for about 30 seconds. Add rice, salt and lemon juice. Stir well and remove from heat. Stir all raita ingredients together. 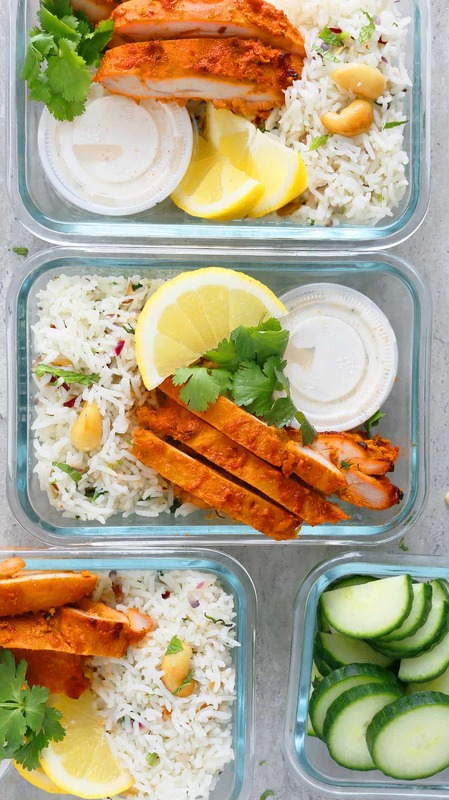 Spoon rice and then arrange tandoori chicken, raita and cucumber slices into meal prep containers. 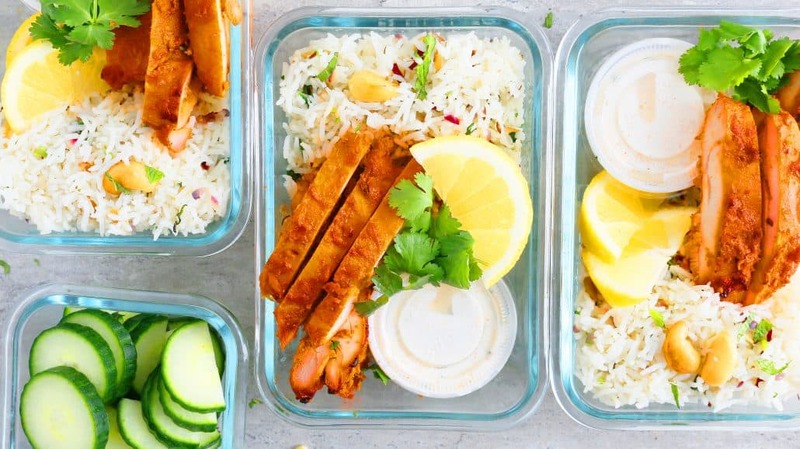 Meal Prep Mondays should totally be a thing! I have to meal prep every week before I go back to work. Your tandoori chicken looks sooooo yummy too! I really need to start meal-prepping. I’m terrible at it! You’ve inspired me 🙂 This tandoori chicken would be a hit at my place!! Looks so good, Maria! Your mother sounds very funny:) Thank you Heather.